Gov. Pat McCrory released a video Friday stating, he will not call the General Assembly back to Raleigh for a special session. In it he says he doesn't see the need to bring legislators back after a long and at time contentious short session. Gov. 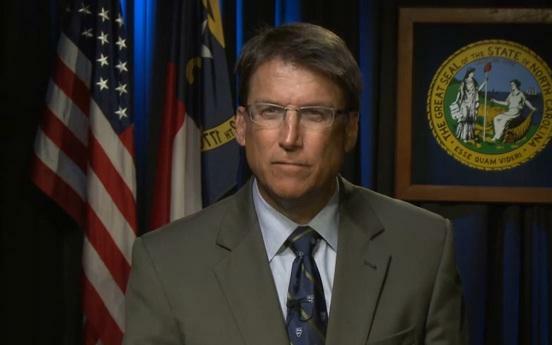 Pat McCrory said in a video release that he will not call lawmakers back for a special session. Commerce Secretary Sharon Decker and other economic development groups recently called on the governor to convene a special session, to address a dwindling pot of money used for business incentives. The fund will be depleted next month. McCrory did say in the video, if a major job recruitment effort develops and it requires legislative support, he would bring lawmakers back. North Carolina's sales tax would be capped at 7.25 percent in most of the state under a plan tentatively approved by the Senate on Wednesday afternoon. The proposal would make it easier for most counties to raise sales taxes to the limit. It would also pull back the ability some counties currently have to implement raises above that limit. The purpose is to even out sales taxes and create fairness between populous and not-so populous areas, bill supporters say. Sen. Jerry Tillman (R-Randolph), says many people in rural places don't spend their money there.